Disneyland and Universal Studios Hollywood sometimes get a bad rap. Yes, the theme parks are considerably smaller than the parks in Florida. But, I’m a firm believer that smaller than does not necessarily mean worse than. If you’re visiting California for Disneyland, you may be considering adding a day to Universal. So, the question is, how do you get from one theme park to the next? Are they close to each other? Well, no, Disneyland and Universal are actually about an hour and a half away from each other. There are many ways to get from Point A to Point B and some are more convenient than others. Let’s parse through all the different modes of transportation that will get you from Disneyland to Universal Studios Hollywood. Then, I’ll give you my opinion on which method I think is the best. But first, let’s go back to the whole Disneyland and Universal Studios Hollywood having a bad rap thing. If you’re used to the parks in Orlando, you may be surprised by how much smaller the California parks are. Once you get past the size, you will probably really enjoy either theme park. Especially if you’re a Disney and Universal Super Fan. Call me crazy, but I actually like visiting the California parks more than the Florida parks. Disneyland has a lot of rides crammed inside the “small” park and it’s packed with old-school Disney nostalgia. I swear I can feel Walt’s presence in every corner of that park. Over in Los Angeles, Universal Studios Hollywood is set in an incredibly beautiful landscape. The park is placed within the rolling hills of Hollywood and the movie studios make for a gorgeous backdrop to the theme park. The tram tour guides you through some real Hollywood studios used for filming television and movies. And you may even spot a celebrity or two! This park can be the perfect, low-key addition to your trip to SoCal. Both parks are close to Los Angeles, so you can tack on an extra few days for stalking celebrities, shopping on Rodeo drive, and strolling the Hollywood Walk of Fame. P.S. I made something really cool you will probably really like! It burns me that Universal Studios Hollywood has such lukewarm reputation so I created a fun checklist of 12 Can’t-Miss Things to Do at Universal Studios. You can access the checklist in my free Travel Resource Library. Fill out the form at the bottom of this post to get the password and gain immediate access to the checklist and a lot more theme park planning guides! Helpful Theme Park Planning Resources! Does Disneyland have a shuttle to transfer you to Universal Studios? Disney and Universal are in direct competition with each other, which means they don’t play nice. Neither theme park provides a shuttle transfer between them. There are other options to transport you to either place, however. Is Disneyland near Universal Studios Hollywood? Universal Studios is about 35 miles from Disneyland. You should allow yourself at least 1 hour to drive or taxi from Disneyland. Realistically, the commute can take up to 1 1/2 to 2 hours, considering Los Angeles traffic and navigating your way to the theme park. The same time-frame applies to the tour buses. This is unlike Universal Studios in Orlando, Florida which is about a 20-minute drive from Disney World. How many days should I spend at Universal Studios Hollywood? Is one day enough? I normally don’t like to rush on vacation and spend extra time in the theme parks. In this case, I say you can get pretty much everything done at Universal in one day. You can stretch it out and go for two days if you really want to do everything in the park. Despite the size, it’s an awesome theme park and I recommend it if you’re in the mood for Butterbeer and celebrity sightings. Lux Bus, Starline, and Viator Tours are three popular companies used for transportation between Anaheim and Universal Studios. Which one do you choose? Well, all three have their perks and disadvantages. Lux Bus is an older company and trusted by many, Starline is more of a “tour” with narration given by a Tour Guide, and Viator is the new kid on the block that people seem to really like. I’ll list the pros and cons that come with doing a bus tour as a form of commuting. Then, I’ll give a brief overview of the three popular tour companies! 1) You don’t have to navigate through Los Angeles traffic and shake your fist at the Californians blocking your way. 2) Most tour buses pick up at hotels near Disneyland so this can be a convenience. 3) With certain tours, you get to hear fun facts and history about the city of Los Angeles. 1) Be aware that you are on the bus schedule and your trip to Universal won’t be quite as flexible. You also can’t be late for the bus arrival/departure times or you’ll be stranded. 2) The tours usually don’t provide enough time to experience the entire theme park. Spending one day at Universal Studios means you will want to maximize your time and most tour companies don’t arrive at the parks until about 10:00 AM. Lux Bus is a fun and fairly cost-effective way to travel to Universal. They offer a few options to transport you from Anaheim. Typically, the shuttles arrive between 7:15-8:15 AM and depart Universal at 8:15 PM. View the full schedule and make a reservation here. You also have the option of purchasing Universal tickets directly through Lux Bus by reserving the Universal Studios Hollywood Day Tour for $154. This tour is no different than the Day Trip option, other than the fact that you are purchasing park tickets through Lux Bus. I prefer buying discounted tickets through a company like Get Away Today. 1) You must buy theme park tickets through their website which means you don’t have the option for discounts. 2) The schedule for the tour is very strict. The bus leaves around 9:00 AM and leaves at 6:00 PM. This isn’t quite enough time to fully enjoy the parks unless you’re ok with spending a half day. That said, if you wanted to go on a Hollywood tour outside of Universal, Starline would be a good choice. The brevity of the Celebrity tours and the option to Hop On/Hop Off on their sightseeing buses allows you to have flexibility in your Los Angeles plans. Once upon a time, Amtrak Gray Line used to give tour transfers to Universal Studios Hollywood, but unfortunately, they discontinued this tour a few years ago. The new alternative is Viator Tours. This tour is fairly new, but the reviews are glowing and it’s run by TripAdvisor, so you have a reliable company behind it. The scheduled departure/arrival times are similar to the other tours noted above. The bus leaves around 8:45 AM and departs between 5:00-7:00 PM, depending on the day. Check out the tour schedule here. Taking the L.A. Metro bus is the absolute cheapest way to get from Anaheim to Universal Studios. It will also take you 2 1/2-3 hours to get there. I rank this option as the worst possible way to get to Universal. The price may be enticing, but I promise it will be a giant headache trying to navigate the transfers. It will also take about 5 hours out of your day. The Metro is a great form of transportation if you’re already in Los Angeles or staying overnight. If you’re feeling adventurous, below is the route you will take. You can also map out your route a little easier via Metro’s website here. 5) Take Universal Studios’ free shuttle to the park. Pick up for the shuttle is located across the street from the Metro drop-off. Shuttle service begins at 7:00 AM and continues 2 hours after park close. The bus runs every 15 minutes. Cost: 1-day pass with included transfers is $7. Last time I visited, I opted to rent a car because I wanted to explore Los Angeles after my day in the park. It was also considerably more convenient than the option of taking a bus tour or public transportation. I wanted to spend as much time in the theme park as possible and be on my own schedule. The drive is actually quite easy too! The added perk was that I could keep the car until the next morning. I picked up some groceries and water bottles for the hotel room before returning it. 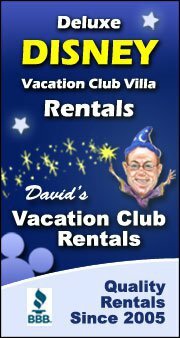 There are plenty of rental companies in the Disneyland area. The most convenient location is the Alamo in Downtown Disney near the AMC Theatre. You will pick up and drop off the car in the Paradise Pier Hotel parking lot. Cost: 1-day rentals start at about $40/day on Priceline.com and Universal Studios General Parking costs $25/day. Taking a taxi or rideshare like Lyft/Uber is certainly the easiest and quickest way to get to Universal. It’s also the most expensive method of transportation. This is a good option if you have the cash to burn, want to get to Los Angeles fast, and hate the idea of driving. By the way, I prefer using Lyft to Uber. The company is more Customer and Employee-oriented, so you can feel comfortable using them. I use Lyft in my own city and when I’m traveling. Cost: About $125 for a Lyft round trip. That all said, what’s the best way to get to Universal? Honestly? Driving or renting a car is the best way to get to Universal Studios Hollywood from Disneyland. It will be cheaper than a Lyft/Taxi and your schedule will be more flexible than a bus tour. The fact that you can get to the park early and leave the park late will maximize your time and cost of admission. The extra time will be worth the extra money alone. Then you can make a night of it and eat dinner at CityWalk or explore the Los Angeles nightlife! If driving in a new town totally stresses you out, then taking a bus is also a great option. Bonus FAQ: What nearby Los Angeles hotels have transportation to Universal Studios Hollywood? Booking a hotel room for the night might make sense if you want to explore Los Angeles for an extra day. The theme park is situated right in the middle of Hollywood’s rolling hills, so you can imagine there are a ton of hotel accommodations nearby. The hotels range from budget-friendly to super upscale. Below are a few noteworthy hotels mentioned in Discover Los Angeles and for more options, you can visit Hotel Guides. Adding a day to Universal Studios Hollywood may seem like a pain in the neck, but if you’re already in the area, you might as well tack on an extra day! Also, Universal will feel like a breath of fresh air in comparison to Disneyland. There may be fewer attractions, but the lines are nowhere near the same length. You can explore Universal with fewer crowds and less stress! Adding a day at Universal is also a good choice if you’re traveling with older kids or an adults-only group. I wrote an entire post about touring Universal Studios Orlando for Adults if you want some ideas! Most things listed here are applicable to Universal Hollywood as well. If you have the flexibility, I advise adding one or two days to your vacation and tour the Los Angeles area! The city is lively and has an old, glitzy charm. It’s like you’ve been transported back to the golden era of movie stars and swimming pools! Do you have a preference for transportation between Disneyland and Universal Studios? I love hearing your feedback and think it’s helpful for other readers to hear youdr opinions as well! Comment below with any questions, comments, or reactions! As promised, below is the form to subscribe to my newsletter and gain access to my free Travel Resource Library. This is where you can download the free printable: 12 Can’t-Miss Things to Do at Universal Studios. This includes attractions, entertainment, and snacks. Coincidentally, all the things noted on this worksheet can be found at both Universal Studios in Hollywood and Orlando! You will also have access to all my other travel resources and can download anything as many times as you want! Fill out the form below the picture to get the password so you can download ALL THE THINGS! Sign Up Below and Get Immediate Access to the Free Travel Resource Library! Signing up for my newsletter means you’ll have access to exclusive content like free planning printables, worksheets, and updated theme park news sent straight to your inbox! Love these ideas and don’t want to lose them? Hover over the Pinterest “P” and pin this post to your favorite board!